This weekend, the hubs and I travelled to see my family and attend the wedding of a family friend. Our families (along with others) sort of grew up together and have taken many joint family vacations over the years. It was fun to see everyone and reminded me and my family so much of when the hubs and I got married. Often you’ll hear at a wedding a wish for the bride and groom that they will love each other more the rest of their lives than they do on their wedding day. I will totally admit that I used to not understand that at all. 🙂 Surely you’d love your husband the most on the day you get married, right? What a wonderful day?! And of course cake! There should always be cake at a celebration! 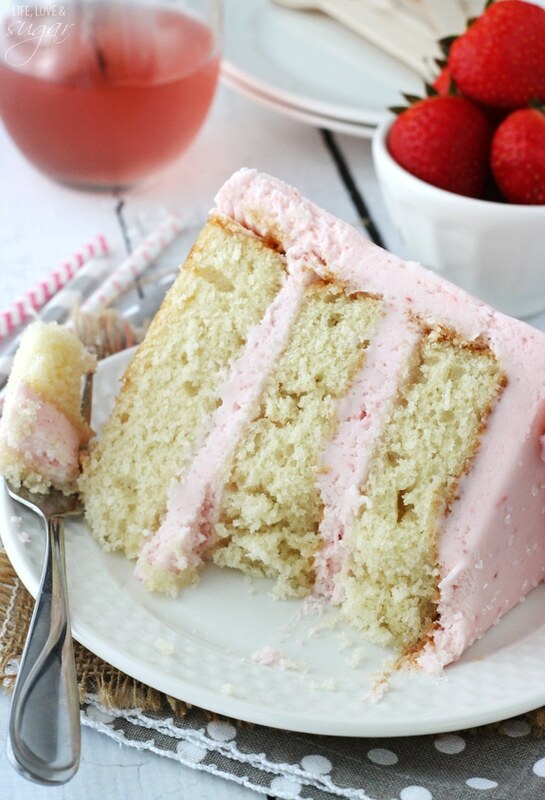 This Strawberry Moscato Layer Cake would be the perfect celebration cake. Especially for a wine-lover’s birthday. There’s a full cup of wine in the it, so there’s plenty of wine flavor. I used a moscato because I’m a sweet wine girl, but feel free to use your favorite white wine. 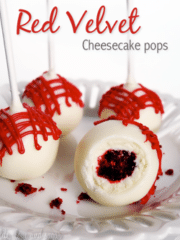 I loved the pairing of the strawberry icing with it too. A great combination. But you could easily switch it out for another fruit, like raspberry, if you prefer. I am all about switching things up to your preference, you’ll just want to use about the same amount of fruit puree. Once the cakes are baked and the icing is ready, it’s time for the fun part (at least for me). Icing the cake! If you’d like some help with how to smoothly ice the cake, I’ve got a tutorial for you. I like to store my finished cakes in an airtight container on the counter and this cake is best if eaten within two to three days of making it, so it’s fresh. Enjoy! 2. Line three 8-inch cake pans with parchment paper rounds and grease the sides. 3. Beat the butter and sugar in a large bowl on medium speed about 2 minutes, until light and fluffy. Scrape down the sides of the bowl. 4. Add the egg whites and vanilla and beat on medium speed for about 1 minute. 5. Combine the flour and baking powder in a medium bowl. 6. Add about half of the flour mixture to the batter and beat on medium speed until incorporated. 7. Add the milk and wine and beat on medium speed until incorporated. 8. 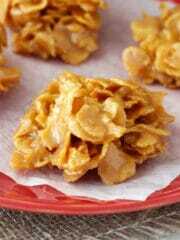 Add remaining dry ingredients and beat until smooth. The batter will be thick and glossy. 9. Spoon the batter evenly into the prepared cake pans. Stagger the cake layers on the oven racks so that no layer is directly over another. 10. 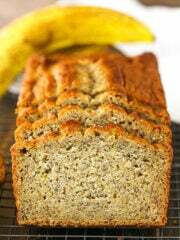 Bake for 25-26 minutes, until a toothpick inserted into the middle of the cakes comes out clean. 11. 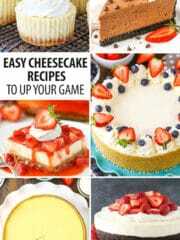 Remove cakes from oven to cool for 4-5 minutes. 12. Invert the cakes onto the racks and cool completely before frosting. 13. While the cakes cool, make the frosting. Combine butter and shortening and mix until smooth. 15. Add the strawberry puree and mix until smooth. 16. Add remaining powdered sugar and mix until smooth. 17. 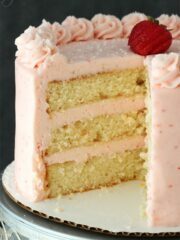 To layer cake when everything is ready, first remove domes from the tops of the cake layers. 18. Place first layer of cake on your serving plate or stand. Add about 1 cup of frosting and smooth into an even layer. 19. Repeat previous step with second layer of cake and frosting. 20. Add remaining layer of cake. 21. Ice the outside of the cake. 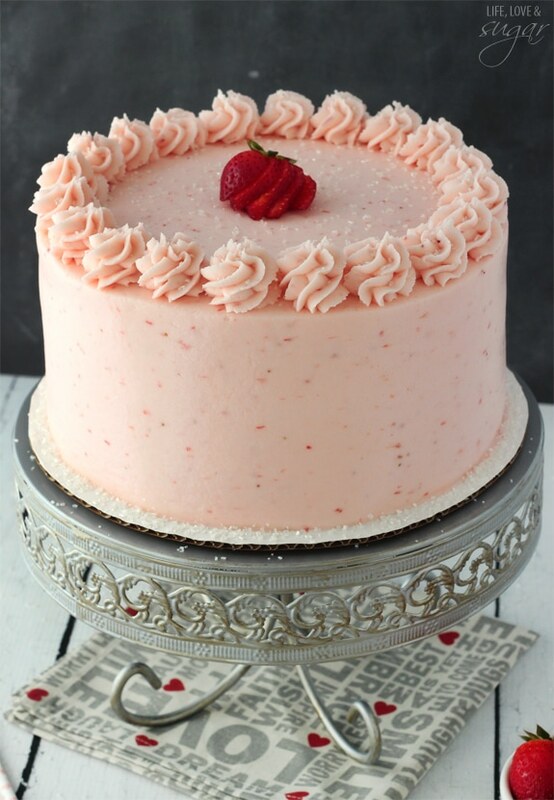 Here is a tutorial on how to do that with smooth buttercream. 22. 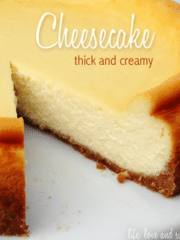 Store cake in an air tight container until ready to serve. Best within 2-3 days. 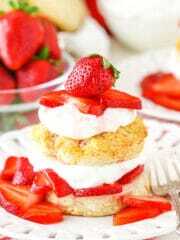 To make the strawberry puree, add fresh chopped strawberries to a food processor and puree until smooth. One 1 lb container of strawberries should be plenty. You had me at “moscato.” And yep, love grows exponentially and limitlessly. It’s kind of amazing how the human heart has such a huge capacity. This cake is so pretty! Prettier than the altar. Really! This is my kinda cake!! Oh, you’re right about marriage. We just had our 7 year wedding anniversary yesterday and it really made me think about how I love him and how full speed ahead committed I am to him and our marriage. I didn’t understand it either, but it really does grow and mature the longer your are with a person. Just a quick giggle, I think he forgot to get me something for our anniversary. Not a big deal, I got him a package of noodles that caught his eye in the grocery store earlier in the week, and it didn’t hurt my feelings or anything. But when I sat down at the table to eat breakfast there was a little jar of wildflowers waiting for me. He had sneaked out and picked them from my pots on the back patio while I was in the shower. It almost made me cry it was so sweet. Sorry to blabbermouth on and on, but your thoughts on the matter really struck me. Also, this three storey cake with that FROSTING stopped me right in my tracks. Incredibly beautiful. 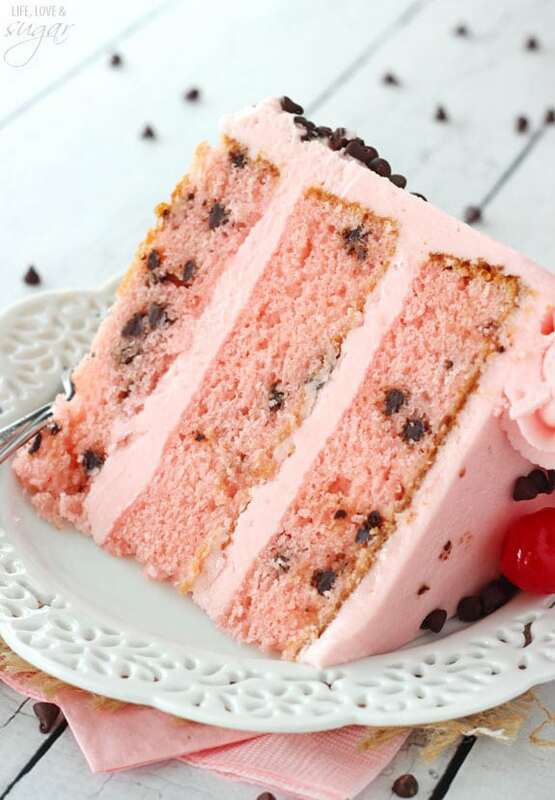 What’s not to love about this cake?! I love the combination of flavors! 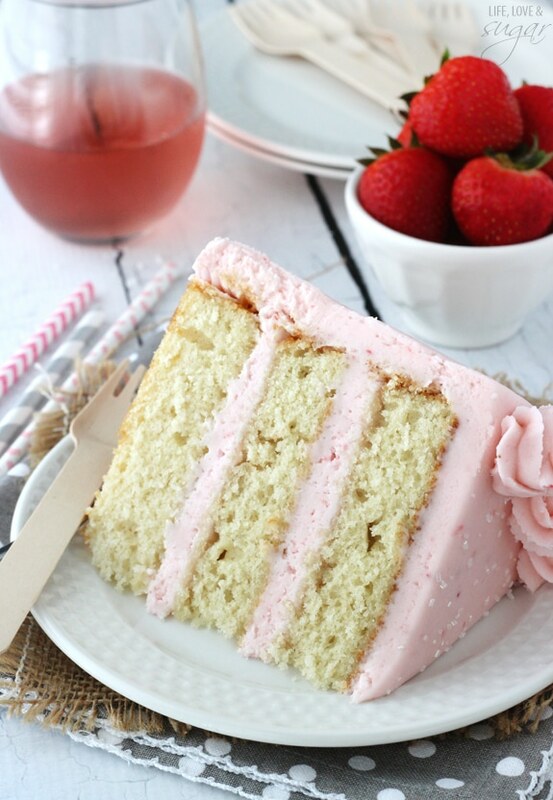 And how perfect is this cake frosted?! It looks absolutely perfect and gorgeous! WOW! This is absolutely gorgeous. 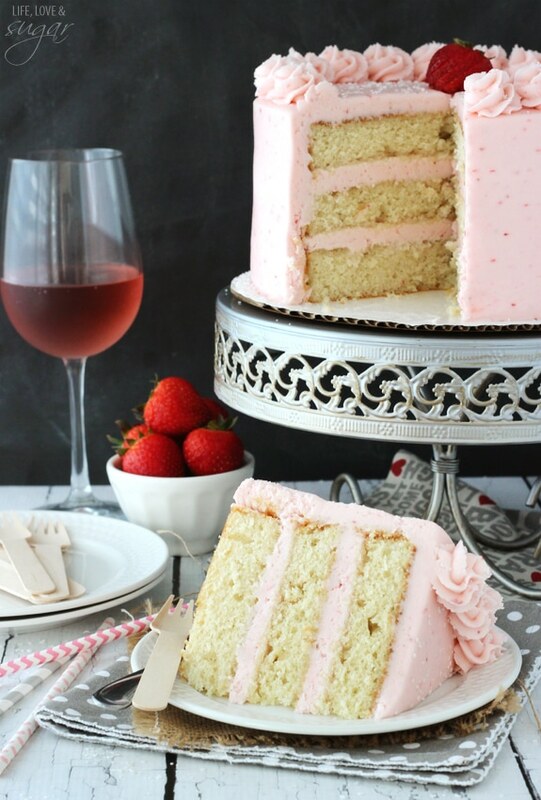 I’ve never had wine in my cake and now I’m wondering why the heck not! 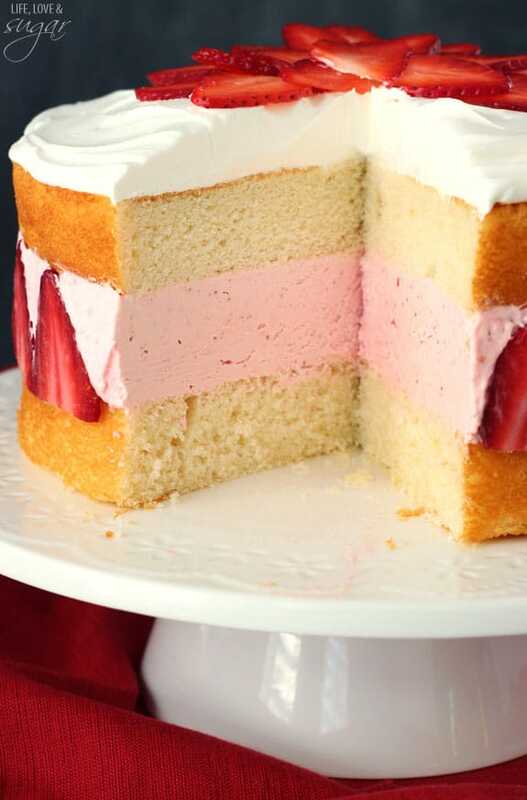 Plus, your strawberry icing looks heavenly. Pinning! Sounds like a beautiful wedding! And this cake is so stunning! 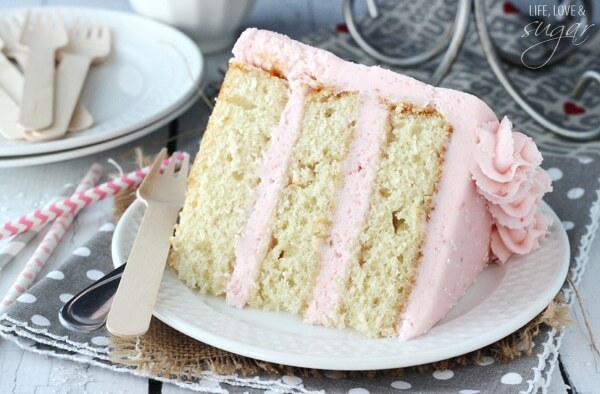 It really looks perfect – that icing especially! 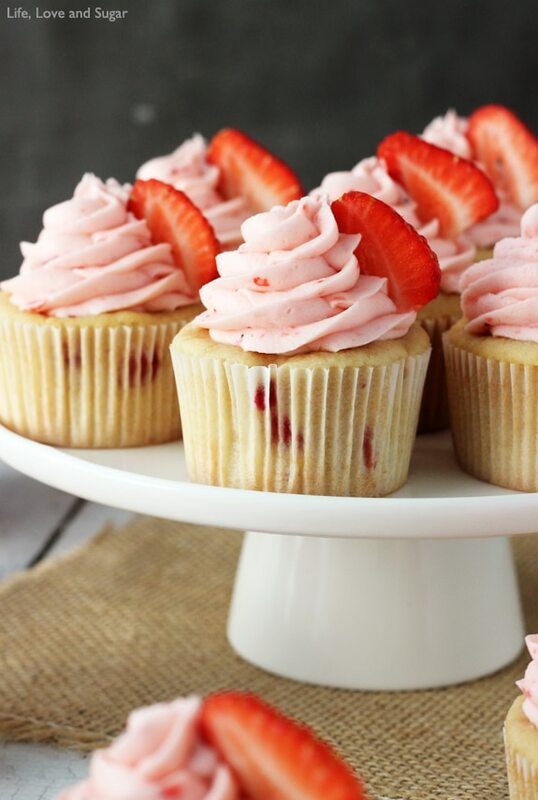 Strawberry cakes are one of my faves! 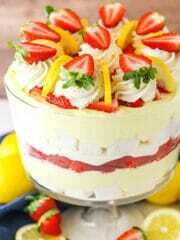 How do u put a filling in your cake? 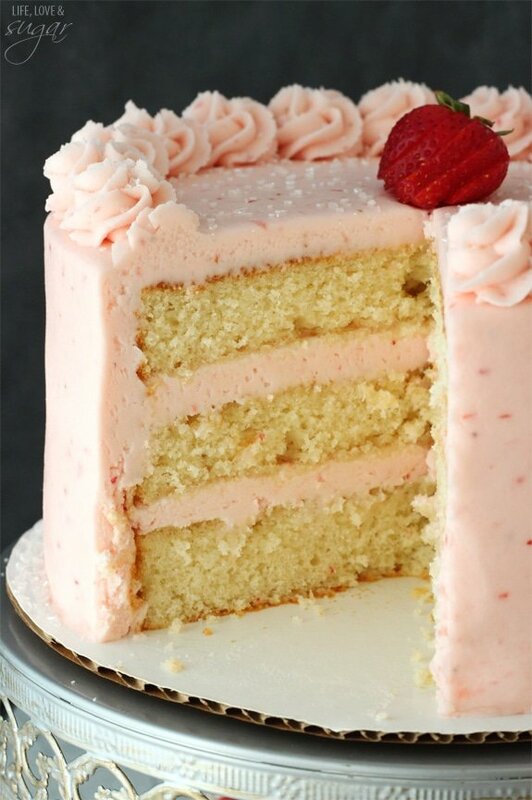 I think when i do mine it doesnt appear thick like that and im using a piping bag so the frosting will be even. Well, it depends on the filling, but for a buttercream like this I usually just measure out the amount of icing for the layer (1 1/2 cups in this case) and then use my offset spatula to smooth it into an even layer. This cake looks great! When you say to use 3 8 layer cake pans do you mean you use one 8×3″ cake pan, use three 8×3″ cake pans or do you mean use three 8×2″ inch cake pans? It’s three 8 inch pans. They can be 8×3 or 8×2. Hey is the cake in itself soft and moist enough? Not a big fan of icing so will it taste good enough without or very little icing? And I am planning to have only 1 layer. Yes, it should be moist enough but I’d add a glaze to it or something. Just cut the recipe in half and bake the one layer a little bit longer. I’m hoping to convert this into cupcakes, how many cupcakes do you think this recipe would produce? I think it’d probably make about 24 cupcakes. Would you have to just add extra milk or something if you went without the wine? Or would you just take it out and keep the rest the same?? You’ll want to keep the same amount of liquid. 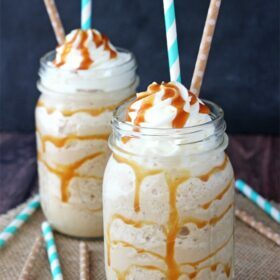 I’d suggest using an extra 1/2 cup of milk (for 1 cup milk total) and 1/2 cup water. So I made this cake for Easter for my family and it turned out pretty okay. My only real complaint is that now where in the recipe instructions are there directions for how to make the icing, just the ingredients. Maybe this is common knowledge for other people but having never made buttercream before I had to just sort of wing it. And I’m not sure I did it right. Also, I’m just curious on another thing, is it common for homemade cakes to come out much denser than say box cakes? Cause the few times I’ve made cake from scratch it always ends up really heavy and dense, like it’s not rising properly and I don’t know what I’m doing wrong. Thank you for pointing out the lack of instructions for the frosting. I’m not sure what happened, but it looks like an oversight on my part. The instructions have been added. As core homemade versus box cakes, I would say that it does tend to be the case that homemade are a bit denser. It is quite tough to match box cakes in that area for some reason. That said, this should be a fairly light cake. If it turned out a bit dense, it could be due to a few things. The most common is the creaming of the butter and sugar. You really do want to be sure to cream them for at least a full two minutes. You’ll notice a change in the texture and color of the butter/sugar mixture. 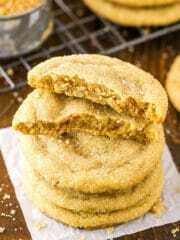 That process adds a lot of air to the batter which expands while baking (along with a some other ingredients) and gives it that fluffiness. 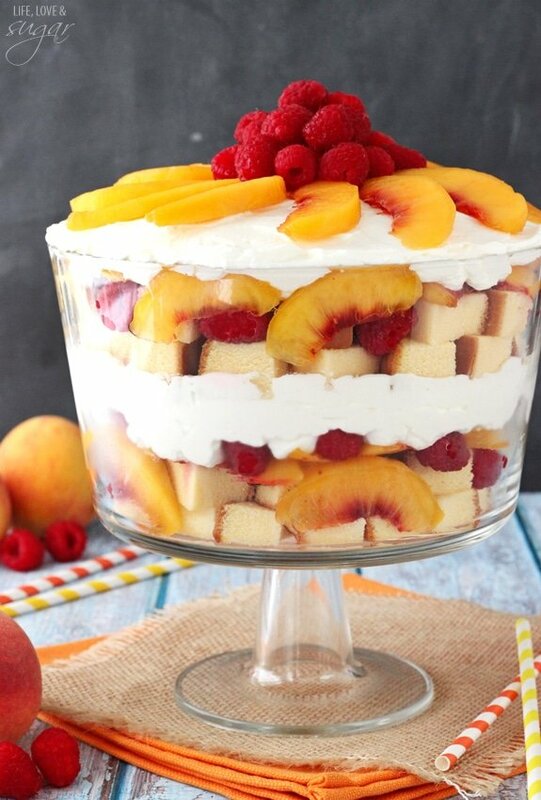 What other fruits would you use for this recipe? I was thinking changing the strawberries for mango. Maybe peach? Do you think blueberries would work instead of the strawberries? Blueberries should be fine. You might want to strain out the skin though. For the icing…10 cups of sugar seems a bit over doing it? Maybe 1 cup? It makes a fairly large volume of frosting, but that’s what I typically use. Feel free to reduce it. 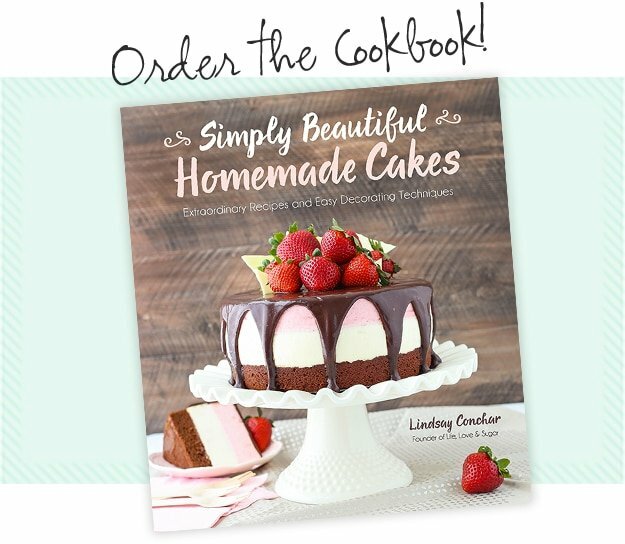 What do you think about putting a layer of strawberry jam atop the cake layer and then putting the icing on top of the jam? 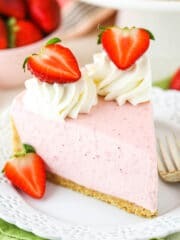 Too much strawberry? I think that sounds delicious! It could overpower the moscato flavor a bit, not sure. This was my very first attempt at something so grand! 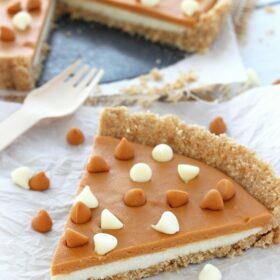 I baked this for Valentines Day in 3 heart-shaped pans, and it was spectacular! It was a “commission” sort of, for a large clinic office party, and I was very nervous about my capability, but thanks to you, it was a hit! The icing is “moan-inducing”!! Wonderful! So glad everyone enjoyed it! I made this recipe into cupcakes, and they are to die for! The moscato was too subtle for me, however, so I poked holes into each cupcake when they were still slightly warm and drizzled 1 tsp moscato over/into each one. 5 stars! Rather than just egg whites could I use a whole egg? If so, how many egg white per egg would it be please? Example, 5 egg whites is the equivalent to 3 whole eggs. Also, would whole eggs make a difference to a cake as opposed to just egg whites? This recipe doesn’t work well with whole eggs, I’m sorry. 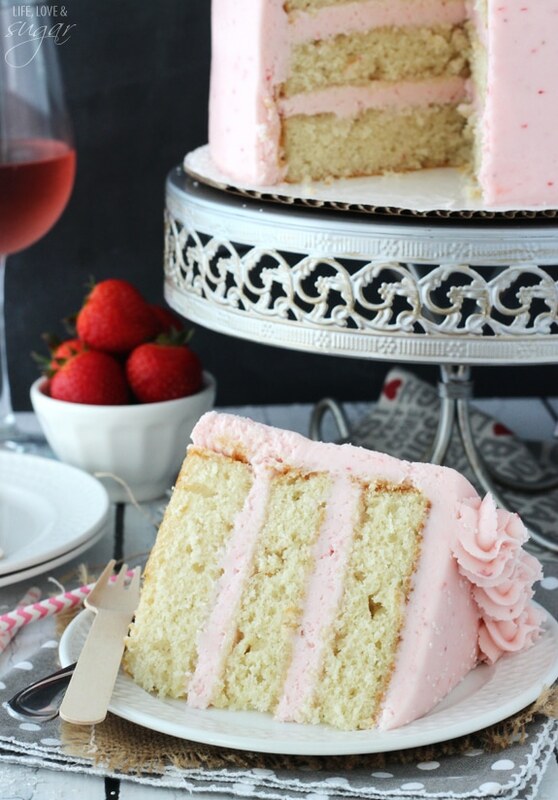 You could try using this cake and swapping out some of the milk for the wine. I haven’t tried it, but I think it’d work fine.